I like the authors idea but…what about ventalation, metal chips getting in the way, or…lets see hot metal in a wood box….maybe a fire issue? I agree thought CNC’s are noisy buggers. 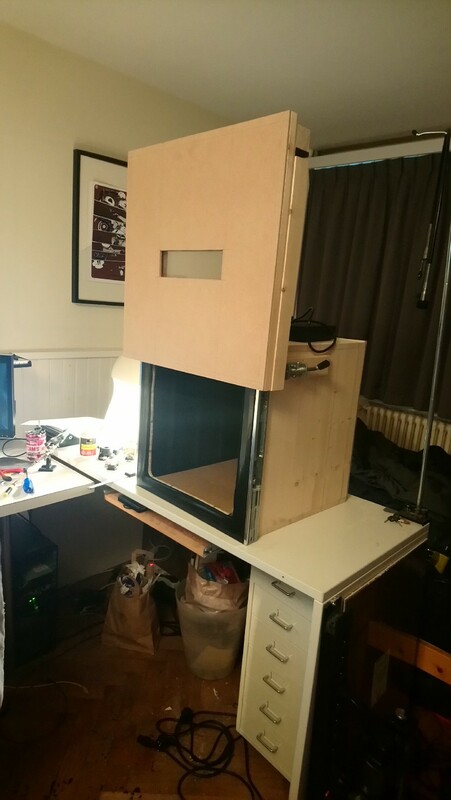 This entry was posted in Arduino, Cheap, CNC/3D-printing, Misc-Life, RaspberryPi. Bookmark the permalink.